software product development consultant, coach, trainer, and practitioner. In the recent years, Lasse has spent an increasing amount of time giving training courses — recently as a Certified Scrum Trainer — and mentoring client teams on-site, helping them improve their performance and establish a culture of continuous learning. Aside from consulting leaders and managers, Lasse enjoys programming and works frequently hands-on with software teams. In his spare time, Lasse hacks on open source projects and writes about software development. In 2007, he published a book on Test Driven Development and is currently working on his next book. 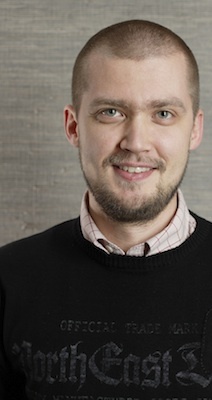 He is one of the pioneers of the Finnish agile community and speaks frequently at international conferences. Copyright 2010 Lasse Koskela. All rights reserved and stuff.